Home All The News Mental health in the football world – What’s there to know? Mental health in the football world – What’s there to know? About one in four people in the world are affected by mental disorders at some point in their lives, so it shouldn’t come as a surprise that football players suffer from numerous mental health problems without the public knowing about it. Many football players experience poor mental health. Take Angel Di Maria, for example. 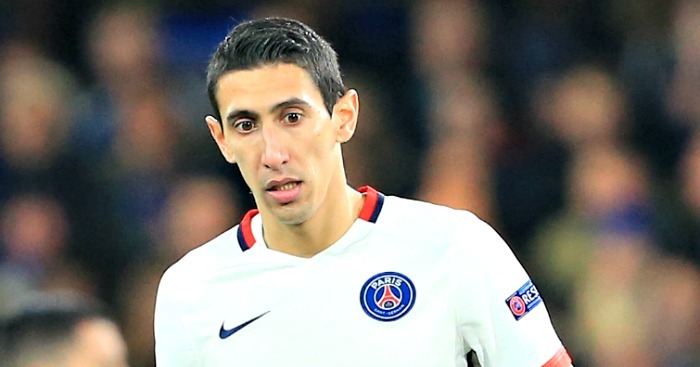 Earlier this year, the Argentine professional footballer who plays for Paris Saint-Germain (PSG) admitted to seeking mental health therapy after being the victim of online bullying. The winger affirmed that going to the psychologist helped a lot. When we hear someone complaining about going through a crisis and immediately seeking help, we don’t think that it’s not that big of a deal. Well, it is. It takes a great deal of courage to speak openly about one’s problems. The thing about mental illness is that it can affect anyone, anywhere and it’s paramount to tackle the stigma. Otherwise, it will persist as a problem in the modern world. Football isn’t doing anything to address deep-rooted stigmas around male mental health. Individuals that are struggling feel ashamed and embarrassed. They don’t dare talk about their problems and they have no intention of doing so. The journey towards getting help is, therefore, hindered. Professional football players are doing their best to achieve perfection. Everyone is trying to be perfect. However, athletes are seeking perfection in front of thousands of people. On the pitch, players run smoothly and play their best game. In their spare time, they spend all day training so as to avoid mistakes. Some competitors kick the ball 10,000 times every single day. They are practising perfection. The problem is that perfection in football doesn’t exist. If we take a look at how Lionel Messi or Cristiano Ronaldo hit the ball in a game, we would be tempted to think differently. Perfection doesn’t exist. So, why do make football players strive for it? Because it’s within their nature. Footballers live in an extremely competitive environment, always seeking approval from coaches, teammates, and fans. What happens when they can’t quench that thirst for recognition and better appreciation is that they are left wrestling with a huge challenge. It’s necessary to have mental toughness to survive. In other words, they have to keep calm and not lose their cool under pressure, which is more difficult than it seems. They are at the centre of attention and the pressure of work is making them low-spirited. Unfortunately, not all athletes are able to avoid the mental traps and succumb to mental illness. Treatment includes psychological treatment, of course, and medication. Nevertheless, there are surprising alternative treatments for mental disorders. Wealth doesn’t protect elite players from mental health issues such as anxiety, depression or addiction. They are as vulnerable as regular individuals. Substance abuse among football players is an interesting topic. Many players have ruined their careers. Examples of players that have had problems with drugs include Adrian Mutu, George Best, and Diego Armando Maradona. We’re not talking about performance-enhancing drugs, but about recreational ones. Athletes don’t know where to turn for help and they find solace in substances of this kind. We’re all familiar with Maradona’s use of cocaine and other drugs. Why did he do it? One of the greatest football players to have ever graced the pitch affirmed that he felt lost, although he enjoyed one of the best careers ever. As is the case for every other professional football player, taking drugs is a reaction to having lost one’s way and personal road-map. Football isn’t just a game, contrary to popular opinion. It’s a business and an occupation with opportunities for progress. Many try to achieve great sporting success in this highly pressured environment. Negative emotions, such as sadness, anger, and frustration result in long-term negative consequences. It’s needless to say that something should be done about it. According to the statistics, a record number of male football players are suffering from mental disorders like depression, dementia or anxiety. Not all of them are eager to speak on the subject and it’s not hard to understand why. Athletes want to survive in the football world. They are afraid that if they say something they will be replaced with more capable players. What elite players should be doing is seeking help. Not that many mental health problems are reported in football. As mentioned earlier, individuals are silent about mental illness. Why is it so important to seek treatment anyway? In addition to the fact that therapy is necessary for everything in life, poor mental health leads to problems concerning emotional, social, and physical well-being. The mental well-being of elite football players necessitates improvement. At the time being, there aren’t psychologists available for each player. But does it really matter? Talking about the problem isn’t enough. We’re not suggesting that athletes should take medications. Far from it. We’re simply pointing out the fact that it’s paramount to treat the mind, body, and soul. There is no need for prescription medication or disease maintenance drugs. More and more sufferers are taking the holistic approach and it’s a good thing that they are. Holistic therapy provides comfort not only to the sufferer, but also to the family and community. What holistic practitioners do is take into consideration the bigger picture and determine the way in which the body systems communicate with each other. Only after this is done, a plan for healing is devised. Sometimes, male football players abandon their dreams, even if they enjoy the best career ever. We are surprised to understand how relieved they feel after making such a move. It seems that the pressure of being a football player is too great for them. These athletes don’t understand that abandoning their career won’t solve anything. More specifically, it won’t bring them the satisfaction or fulfilment that they crave for. Everyone is free to do as they want, yet it’s recommendable to get treatment and overcome mental health issues. It’s possible. There’s no need to abandon the football career.